Since the beginning it has always been our goal to help educate our clients on proper tree care. We have always taken pride in offering real and honest advice on the best approach for the care and maintenance of their trees, resulting in long term tree retention and lowering the cost of future maintenance. 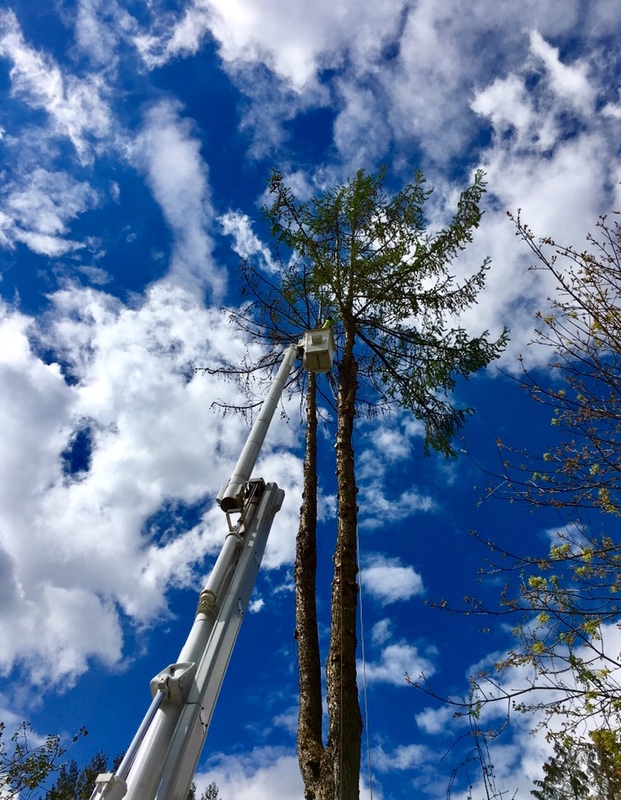 You can rely on the experts at Arsenault Tree Service to give you the best advice and the highest level of customer care. After all, we put our name on every project we complete. We are not your average tree service! Our journey began 22 years ago with a single pickup truck and chipper. Since then we have grown to become one of the premier tree care providers in the area with large bucket trucks, chippers and all the right equipment to get the job done. One thing that hasn't changed is the honesty and integrity that our business has been built upon and customers have come to expect from us. Our certifications and qualification set us apart from the competition and make Arsenault Tree Service the most qualified locally based tree care provider. They not only let our customers know that they can trust us to offer the best care for their trees but show our customers that we put safety first, everyday. Vince Arsenault is an ISA Certified Arborist and is ISA Tree Risk Assessment Qualified. Ray Arsenault is a Certified Utility Arborist and a BC Hydro Power System Safety Protection System Authorization (PSSP) holder. We are a BC Forest Safety Council SAFE Certified company. This means that we have made working safely part of our culture by having the appropriate safe working procedures in place. In order to keep our SAFE Certification we must complete and provide the BCFSC with an annual audit of our current safe working procedures and explain how we will continue to make safety a top priority in the future. This WorkSafeBC program encourages companies to have safety programs in place that not only meet but exceed the current legal requirements. This shows our clients that we are proactive about workplace safety and dedicated to continually improving safe work procedures in our industry. Call us today to arrange for a quotation or to find out more on how we can help with your tree care project today!